Home Style Advice	What Are the Best Suit and Dress Shirt Combinations? What Are the Best Suit and Dress Shirt Combinations? You’ve ordered the perfect suit for your big event. The cut flatters and style wows. Now, what in the world should you put under that jacket? These suit and dress shirt combinations are sure to look fabulous in every Instagram and pro photo snapped! 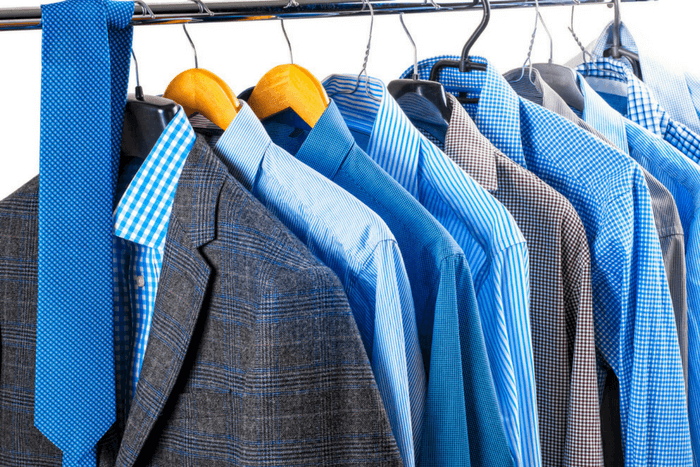 Dark, sterling navy, or cobalt blue suits look sharp with other shades of blues and neutrals. Try layering a baby blue, matching navy tone or purple-blue dress shirt under your jacket. We also love the look of a classic pattern, like narrow vertical stripes or funky polka dots that highlight the blue in the suit. When dressing as part of a group (think wedding or quinceañera), a more subdued option like grey, cream, or white works well. The big brother of the classic black suit is having a huge moment in the formal wear world. If you’ve chosen grey, pair it with a colorful dress shirt. We love eggplant purple and emerald green in cool weather and pastel pink or muted yellow during warm weather events. For a more conservative choice, white, cream and black all look sharp too! The granddaddy of all suits can really play up any dress shirt that you love. Patterns, stripes, solids – you name it, it works! For a red-carpet evening look, consider layering a black dress shirt under that black jacket. To spice it up, pick a color that plays off your date’s ensemble for a classic, coordinated style. Light colored suits instantly evoke summer vibes. This season, Hawaiian shirts with floral and aquatic life (sharks, octopus, and starfish) are perfect for a more informal gathering like a milestone birthday or graduation party. For a more sophisticated look, we love soft colors with white and cream suits. Browse muted greens, blues, pinks and yellows. If you’ve taken a cue from the spring runway fashions, you know rich hues are gaining ground. If you’re going all out, your dress shirt might as well follow suit. 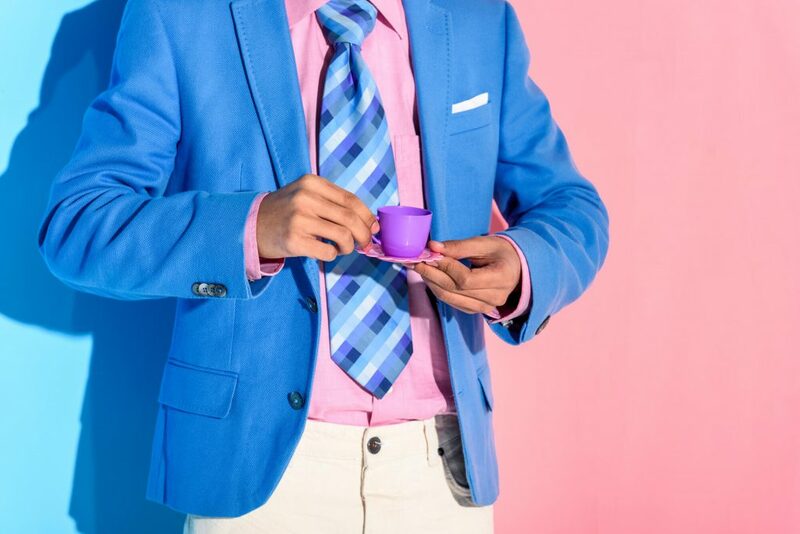 We love pairing contrasting solid colors, like a purple suit with a yellow dress shirt. Alternatively, show off your personality with a novelty printed shirt. Layering Spiderman under a red suit is quirky and memorable for prom! As you build your formal wear look, remember to always integrate a bit of your personality. Play around with suit and dress shirt combinations that show off your style. Browse Jim’s Formal Wear online today to get started.